When Canada hosts Great Britain in a Davis Cup by BNP Paribas World Group first-round tie February 3-5, Ekaterina Zhupanova will be in Ottawa for the event as a linesperson: it’s the latest example of a Manitoba tennis official working a high-profile international competition. Last summer Zhupanova worked as a linesperson at the National Bank Challenger tournaments in Winnipeg, Gatineau and Granby. She also served as a linesperson at the Rogers Cup women’s event in Montreal, marking her third straight year at the Rogers Cup after working the men’s tournament in 2014 in Toronto and the women’s tournament in 2015 in Toronto. “It’s more pressure with Hawk-Eye,” Zhupanova said with a laugh, referring to the ball tracking technology used when players challenge line calls at ATP/WTA events such as the Rogers Cup. Zhupanova, who will work a pro tournament in Acapulco, Mexico later in February, has been a tennis official for about 15 years. The first professional event she officiated at was the 2008 Kremlin Cup in Moscow. Zhupanova took up tennis at age seven and worked as a tennis coach in Russia after university. 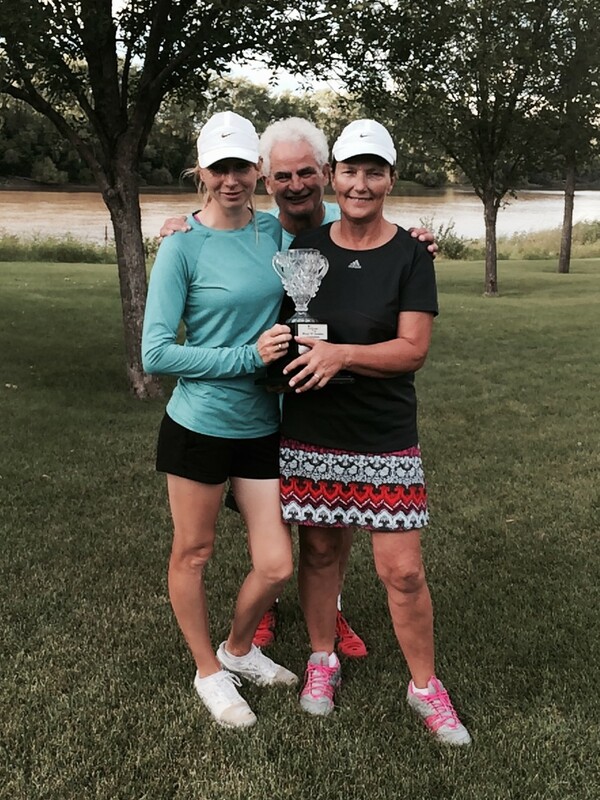 She has lived in Winnipeg for three years and works as a Tennis Manitoba official and instructor. “I like officiating in Winnipeg a lot because everybody’s so kind,” said Zhupanova, who will work as a linesperson at the Canada Summer Games at Winnipeg Lawn Tennis Club in August. David Kives, another Tennis Manitoba official, has been a linesperson at the Rogers Cup every year since 2002. Prior to 2011, the men’s and women’s Rogers Cup tournaments were held at different weeks and Kives worked both events in the same year several times. Kives, who has officiated at the Winnipeg pro tourney every year since it started as the Manshield Tennis Futures in 2012, has worked as a linesperson at 15-20 total Davis Cup and Fed Cup events. He remembers the lively atmosphere at the 2003 Davis Cup tie in Calgary between Canada and Brazil when former world No. 1 Gustavo Kuerten played. Kives got into tennis officiating for the 1999 Pan Am Games in Winnipeg. “We started to train in 1997 under Gerry Labies, who was in charge of the officials,” said Kives. “I ended up being in the finals that day (’99 Games) on baseline and I missed a really bad call,” he said with a laugh. Kives credited Labies for getting the Manitoba officials prepared for the marquee event. Labies organized crews of linespeople to train at local tournaments leading up to the Games. “Especially the last six months we did a lot of training – intensive training to get ready for the Pan Am Games,” remembered Kives, who also worked the tennis finals at the 2015 Pan Am Games in Toronto. Kives, who received an Excellence Award for officiating from Tennis Canada in 2008, has been a long-time official at Tennis Manitoba tournaments. Like Kives, David Scrapneck called the 1999 Pan Am Games his catalyst for becoming a tennis official. He said he forged many lasting friendships at the event with fellow officials. “I’ve developed some lifelong friends like (Steve) Peers, (Grant) Wuckert, Kieron (Kennedy), (David) Kives,” said Scrapneck. Scrapneck remembers the draws for the ’99 Games being loaded with world-class talent. “We had guys like (David) Nalbandian and the Bryan brothers, who we didn’t know at the time were going to become champions in their own right,” said Scrapneck, who was on the service line for the gold medal match. Scrapneck has been a linesperson at several Rogers Cup men’s and women’s tournaments, many Davis Cup and Fed Cup events, and some Challenger tournaments in Canada including the annual Winnipeg pro event. He worked the men’s final at his first Rogers Cup in 2001 in Montreal, a three-set victory for Andrei Pavel over Patrick Rafter. Scrapneck said one of his memories from the Rogers Cup tournaments was the electricity in the stands when Andre Agassi took to the court. Scrapneck has served as an official at Tennis Manitoba tournaments for many years, most notably working as a chair umpire at the Manitoba Open. Those interested in becoming a tennis official can contact Tennis Manitoba’s officiating coordinator Kieron Kennedy at kieron_kennedy@hotmail.com. Tennis Manitoba officials Ekaterina Zhupanova and Debbie Hoglund, 4.5 women’s doubles champions at the 2016 Manitoba Open, are congratulated by official David Kives.